On the evening of May 26, 1950, twelve Long Islanders, united in a common interest in Dachshunds, met at the home of Mr. and Mrs. Wm. Burr Hill, Jr. in Hicksville, Long Island. The outcome of this gathering was the formation of the Dachshund Association of Long Island, New York …DALI. The officers for the first year (subsequently re-elected to serve a second year) were: Howard Aldrich Rumpf, president; Mrs. Ramona Lancaster Andrews, vice-president; Mrs. Wm. (Grace) Burr Hill, Jr., secretary; and Coles A. Doty, Jr. as treasurer. DALI quickly grew to a membership of 157 by 1952, the year in which DALI held its first Specialty show in conjunction with the Westbury Kennel Association All Breed Show in Old Westbury, Long Island. Rosettes were offered for all firsts in all classes. DALI engraved glass trophies were given to each entry. There were many trophies, and Cash prizes exceeding five hundred dollars (over $4,000 in today’s economy), and DCA Bronze Plaques. As well as the regular classes, there were classes “For Exhibition”, “Veterans’ Class” and a “Parade of Champions”. There was an entry of 152 Dachshunds that year. The DALI Specialty was held in 1953 and 1954 with the Suffolk County Kennel Club All Breed Show at the Huntington Crescent Club in Huntington, Long Island. The entry for these shows was 165 and 206 respectively. The first independent DALI Specialty was held in 1955 at the J. S. Phipps Polo Field in Old Westbury, Long Island and drew an entry of 260 Dachshunds. In 1959 the DALI Specialty moved its location to the front lawn of Grace Hill’s Hicksville home and garnered an entry of 321 Dachshunds. The Specialty continued at this location through 1968 when Grace moved to Jacksonville, Florida. The show was famous for its spacious, manicured and beautifully landscaped front lawn that provided an area for very sizeable rings, plenty of spectator room around the rings and shade trees where crates could be set up giving relief from 90º daytime heat for both dogs and owners. Club members provided food all day and upon completion of judging, dinner was available to all. Any who attended one of those DALI Specialties will well remember the beautiful setting, the hospitality provided and the camaraderie lasting well after dark on those June summer nights. After Grace moved to Florida, the DALI show was held at various locations on Long Island and currently holds it specialty show with the Winter Garden Specialties, Rye Brook, NY. Grace (“Gracie) Hill was the driving force behind the formation of the Club One could say Gracie was DALI and DALI was Gracie. Having purchased standard longhairs “Penny” and “William deSangpur” less than 8 years before the founding of DALI while living in New York City she began to breed in 1945. 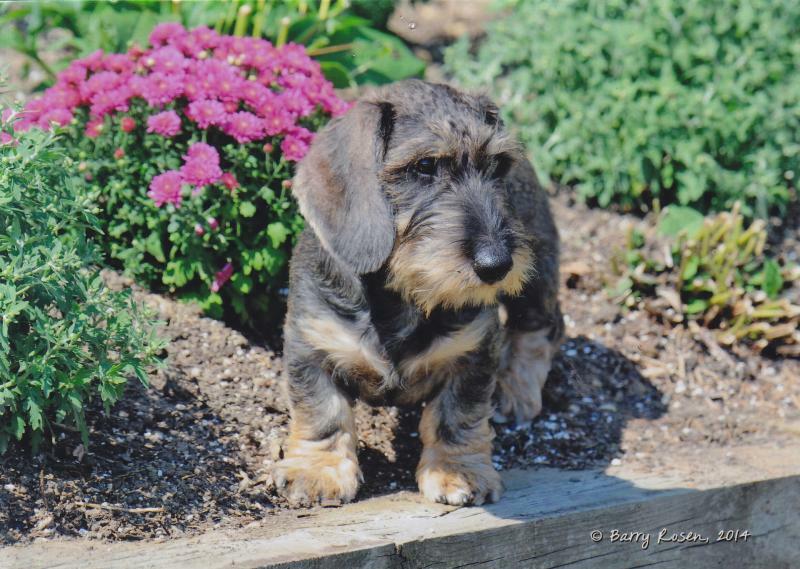 “William” became a top-winning dachshund in his day; shortly thereafter Gracie turned her attention to miniatures as well, and their improvement, producing the first America-bred miniature longhair Champion, Ch. DeSangur Wee Allene who won multiple Best of Varieties and Hound Group placings. She also produced deSangpur Wee Memmy, the third smooth miniature to finish, and Ch. deSangpur Wee Lancelot, the first red smooth miniature male to finish his Championship. 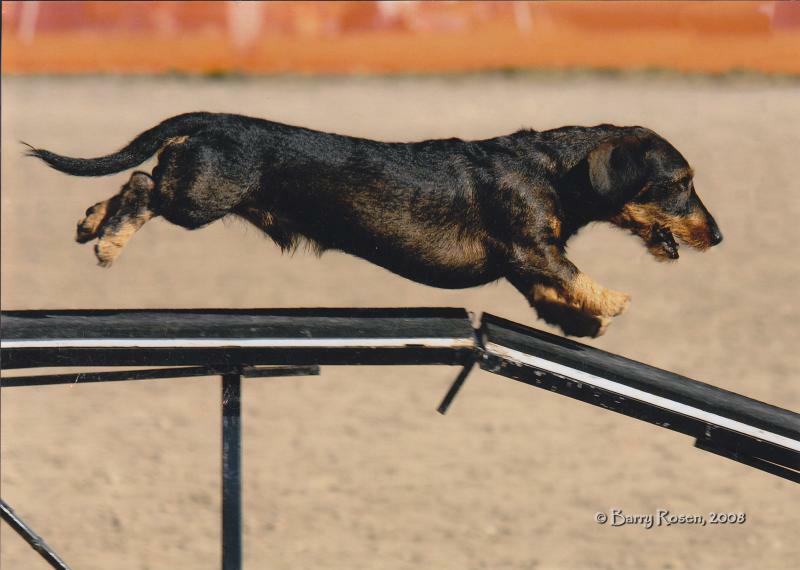 All in all, approximately 70 Champion Dachshunds carry the deSangpur name. Grace made history by becoming the first to have bred Standard and Miniature Champions in all three coats. 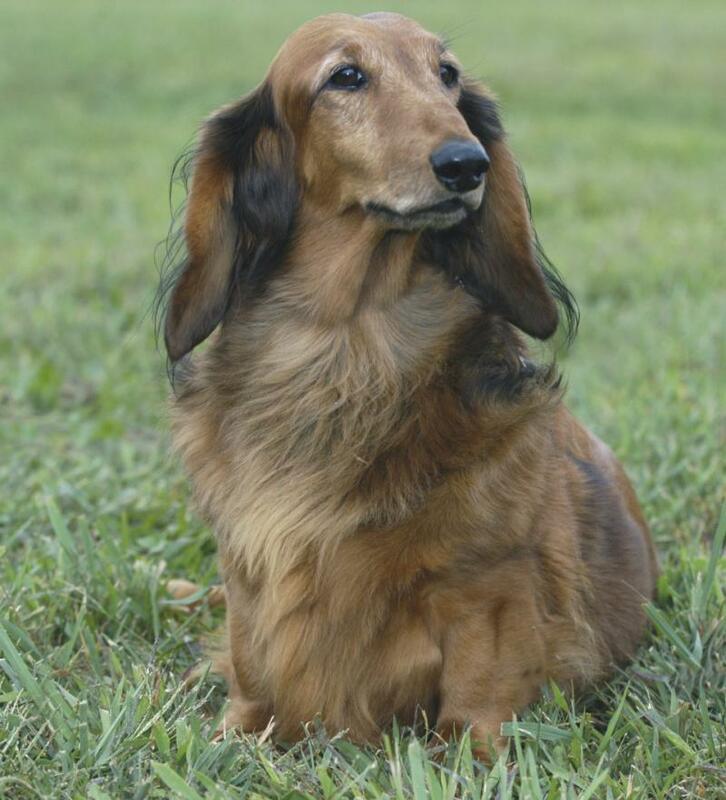 Gracie was always promoting the breed, which included the founding of DALI, the National Miniature Dachshund Club (NMDC), and after moving to Jacksonville, Florida, the Sunshine Dachshund Club of Jacksonville. Gracie held various offices in multiple dog clubs, both all-breed and specialty Clubs. She also served first as a Director of the Dachshund Club of America in 1951, then as its Secretary in 1952 and 1953 and from 1955 until her death on February 29, 1980. Gracie had a tremendous capacity to keep track of details and an unyielding energy that allowed her to communicate continuously with dachshund lovers nationwide. She published mimeographed Newsletters for both DALI and NMDC on a regular basis for many years. Laurence was another driving force behind DALI in its early years. He was a regular columnist for the AKC Gazette, Popular Dogs Magazine and, with his wife Dorothy Allison Horswell, authored the paperback book The Pet Dachshund (the original version is now out of print.) He was an artist, prolific author, statistician, breeder, exhibitor and judge. He served at various times as President, Secretary, Director and Information Chairman of the Dachshund Club of America. Through his writings, he was almost solely responsible for maintaining the status and continued growth of the breed here in the United States during the “anti-German” sentiment of the American public during the war years and was the first recipient of the “Gaines Dog Man of the Year” award. His artistic talents enabled him to design for DCA the Dachshund lapel pins, Sunburst Medallions, and the Bronze Plaques first offered at the Club’s 50th Anniversary Show in 1945. He also designed the original cover for DALI’s first independent Specialty Show Premium List and catalog. In order to get the proper perspective for the initials D A L I, he placed an enlarged paper outline of Long Island on the floor, then situated four milk bottles at the points where he wanted the letters. This was then placed on a background representing the water that surrounds Long Island. Above this was the sun with rays emitting outward that could be seen as a rising or a setting sun – truly representative of “DALI Day”, since the show was held on the longest day of each year from 1955 through 1968 with dogs and people arriving at sunrise and staying until sunset (and many times well beyond.) Mrs. Patrick Stephens drew the dachshunds in positions running and walking toward the geographic location of the show. Both Grace Hill and Laurence Alden Horswell were made Honorary Members of DALI by 1956. A better understanding and appreciation of the Dachshund.